Check out the schedule of our Philippine Team (Meralco Bolts) in the 2018 FIBA Asia Champions Cup. That will be held in Thailand from 27 September to 2 October. 8 respectable teams will participate including Liaoning Flying Leopards, Seoul SK Knights, Alvark Tokyo, Pauian, Mono Vampire, Sporting Al Riyadi Beirut, Petrochimi Bandar Imam BC and our very own Meralco Bolts. All games will take place at Stadium 29, Nonthaburi in Thailand. 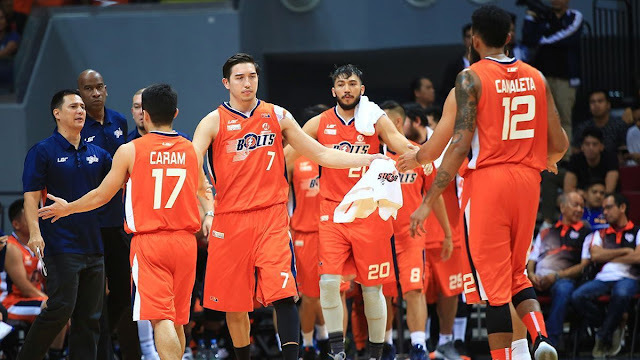 Group phase: Meralco Bolts PH is included in Group B with Sporting Al Riyadi Beirut, Alvark Tokyo, and Mono Vampire. 2 best teams will advance to the semifinal round, while the renaming will fall to the Classification round. The Philippines ended in the 4th place.